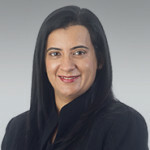 Vinita Mehra, who leads Kegler Brown’s Asia-Pacific team and Global Education practice, has been named co-leader of the firm’s Global Business practice. Vinita’s experience advising domestic and international companies has seen her manage the most sensitive aspects of global transactions and projects. She counsels non-U.S. companies on the legal and tax issues pertaining to undertaking expanding business operations in the U.S., also advising them on federal trade compliance issues. She has also earned acclaim for her advice in strategic planning for public and private colleges, universities, schools and educational research organizations around the world. Vinita has been with Kegler Brown since 2003. She earned her LL.B. and B.L.S. from the Government Law College at Mumbai University. She is an active presenter and member of numerous professional and community organizations, such as the Columbus Council on World Affairs, the National Association of College and University Attorneys (NACUA), the Asian Pacific American Bar Association of Central Ohio, and Women for Economic and Leadership Development (WELD).